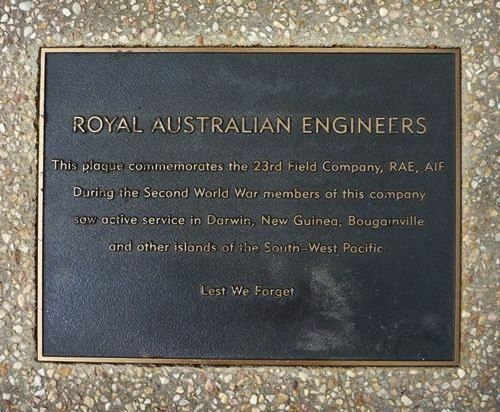 A plaque commemorates the personnel who served in the 23rd Field Company, Royal Australian Engineers during World War Two. This plaque commemorates the 23rd Field Company, RAE, AIF. During the Second World War members of this company saw active service in Darwin, New Guinea, Bougainville and other islands of the South-West Pacific.